CITY of Plymouth’s Emily Bee and Tavistock athletes Nicolas Maczugowski and Edward Fileman produced UK top 30 performances at the South West League meeting at Exeter on Sunday. The country’s leading under-17 heptathlete Bee ran a season’s best for the 200m clocking 25.51 seconds to win the women’s senior race at Exeter. That was three tenths of a second quicker than she had previously run this year and puts her up with the leading sprint specialists in the country. As well as topping the heptathlon rankings, Bee is also ranked fifth in the 80m hurdles and in the top 31 for both the high jump and long jump events. Tavistock youngster Maczugowski enjoyed an impressive meet at Exeter. He broke Tavistock’s under-13 high jump club record with a personal best leap of 1.41m to take second in the event. Both he and Wimborne’s Jakob Roberts, who won with 1.43m, are now in the UK’s top 30 for that event. Maczugowski also set a PB of 4.31m to finish third overall in the under-13 long jump. He was also third in the shot with 7.13m. Edward Fileman won the under-17 hammer with an impressive throw of 52.76m. There was also some good throwing from Erme Valley’s Brownyn Harris, City of Plymouth’s Nubia Evans-Shields and Tavistock’s Lois Fileman and Harry Tomlin. Harris took victory in the under-15 girls’ discus with a throw of 24.40m, which ranks her 41st in the UK. Evans-Shields, another top 50th ranked athlete, took second in the under-13 shot with 7.70m, while Lois Fileman, who is in the UK’s top 45 for both the under-20 women’s discus and hammer, took second in the women’s discus with 29.97m and came third in a strong hammer competition with 38.84m. Meanwhile, Tomlin came second in the under-15 boys’ shot with 10.98m. 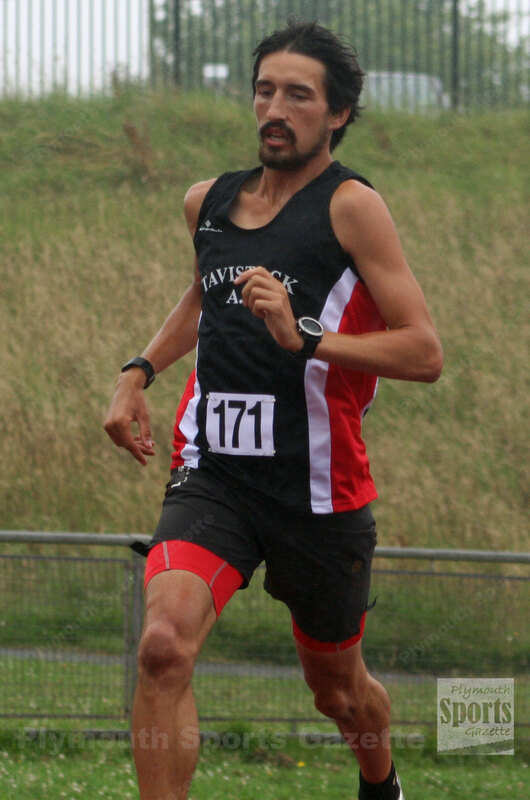 Fellow Tavistock athlete Adam Holland incredibly managed to take second in the men’s 5,000m in a PB time of 16.12.2, despite having won the Burrator 10k in the morning and the 34-mile Dartmoor Discovery race the day before. He also ran the 800m and 200m at Exeter and threw the javelin. Club colleague Amelia Riggott took second in the under-15 girls’ 800m with a PB of 2:24.80. 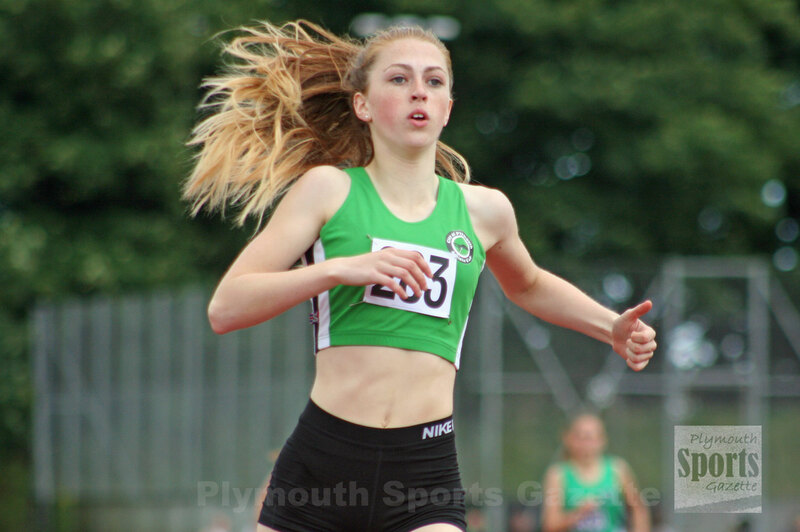 City of Plymouth’s Poppy Northcott was second in the under-13 girls’ 800m with 2:33.49, while she also produced an eye-catching run to win her under-13 girls’ 200m race in a PB time of 29.90 seconds. It was the first time she had run under the 30 second mark. 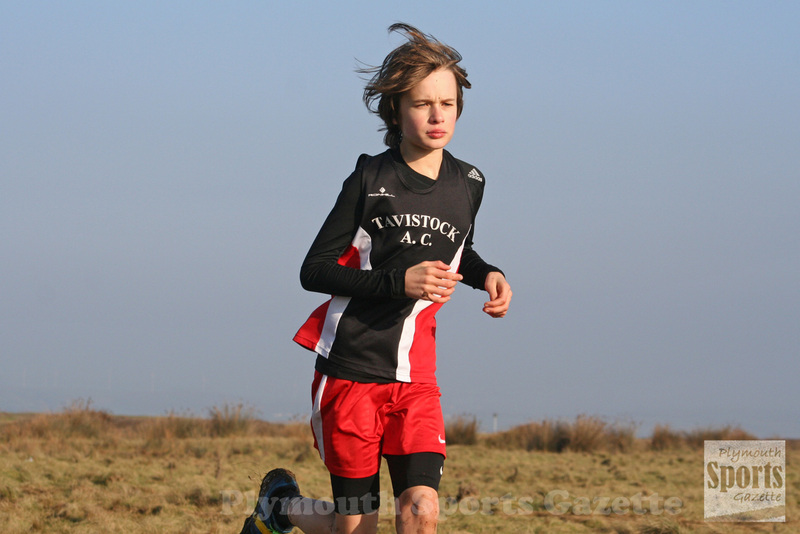 Tavistock under-15 athlete Jamie Bulbring ran up an age in the sprint events at Exeter but impressed. She came second in her 200m race in 26.56 seconds, which was quicker than all other under-15s ran. She also ran 13.07 seconds in the 100m. City of Plymouth’s Lili Fern ran 13.31 seconds to take second in her under-15 100m race, while Erme Valley’s Sam Peters ran 11.61 to take second in his 100m senior men’s race, which was fifth fastest overall.